TrackingTheWorld	EnduroPro	3G Tracking	Device Did you know that major carriers will soon be dropping 2G service? The EnduroPro 3G gets you a step ahead with 3G capabilities and better tracking. Our new tracker offers a compact new design with an easy-to-reach thumb sized button with vibration confirmation for conveniently resetting geo-fencing boundaries or as a panic button. With 3G service, the device is a smart choice for those requiring enhanced coverage in hard-to-reach areas. 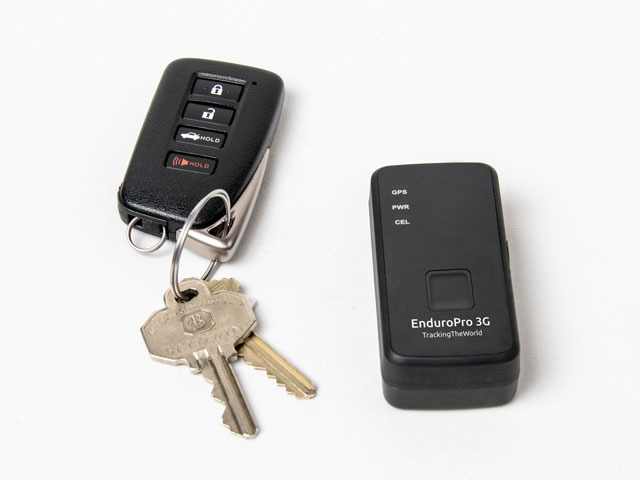 Durable and versatile, the EnduroPro 3G is ideal for vehicle tracking, employee monitoring, asset tracking, and surveillance or covert tracking applications. Full Power Management: DC or Batt.